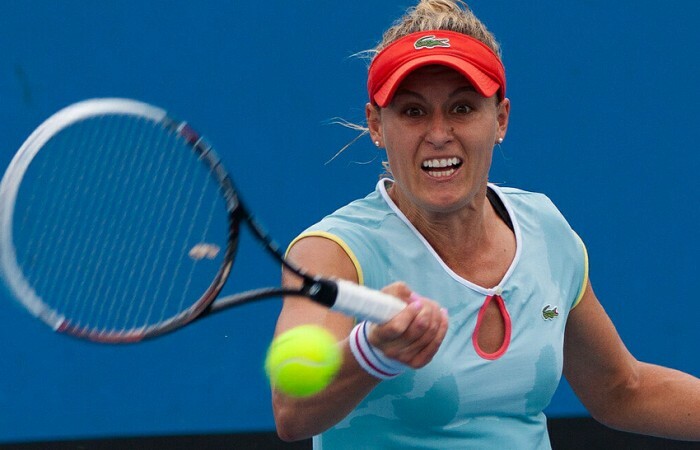 Monique Adamczak has continued her impressive comeback from injury by reaching the final of the Australian Open 2013 Play-off, writes Matt Trollope. Monique Adamczak delivered a tennis clinic on Saturday, dismissing the unseeded Tammi Patterson in the semifinals of the Australian Open 2013 Play-off. The 6-1 6-3 win sends the 29-year-old into the final of event, where Bojana Bobusic stands between the veteran and a berth in the main draw at Melbourne Park for the fourth time. “I know her game pretty well and she knows mine, and I think it will be a really competitive match, Adamczak said of Bobusic, a regular training partner. Adamczak showed she’ll indeed be a force to be reckoned with in Sunday’s final, if the first set against Patterson was anything to so by. 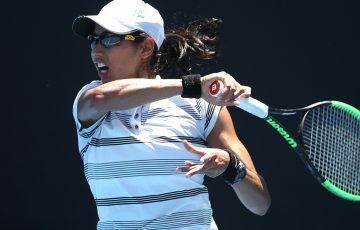 The third seed completed overwhelmed the error-prone Victorian, who had earlier in the tournament ousted top seed Olivia Rogowska. With a forcing backhand return eliciting an error from Patterson’s racquet, the New South Welshwoman had pocketed the opening set in the blink of an eye. 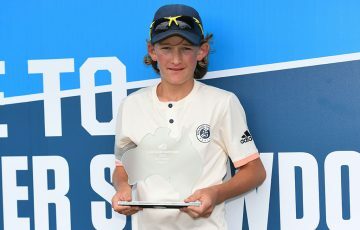 She raced out to a 2-0 lead in the second before her concentration wavered slightly – backing off the ball Adamczak began to make some more errors of her own, while Patterson settled into the contest and flowed more freely on her big groundstrokes. The Victorian levelled the set at 2-2 and moved ahead 0-30 before Adamczak regrouped, coming back and then closing out the game with an ace to keep her nose in front at 3-2. The highlight came at the end of the sixth game, where both women unloaded in a stunning rally from the back of the court before Adamczak drew first blood with a menacing crosscourt backhand, picking off a forehand winner from the short reply to move ahead 4-2. From there, Patterson’s resistance crumbled. A few games later, the veteran confidently served out the match and yelled in delight. It was an especially sweet win given her injury troubles in recent years – shortly after peaking at a career high ranking of No.138 in May 2010, Adamczak tore her anterior cruciate ligament and missed almost a year of competition. 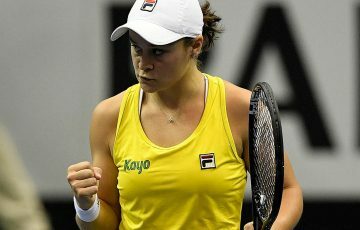 After her first full season on the ITF circuit in 2012 since that injury – during which she reached four finals in Japan and returned to the top 200 – she said she was finally starting to see her hard work pay off. “There was a bit of a process coming back from that [injury] … just getting my fitness and my match fitness back has helped me get back where I am now and playing the way I’m playing,” she explained.